It’s Supreme Court decision season as its term ends. 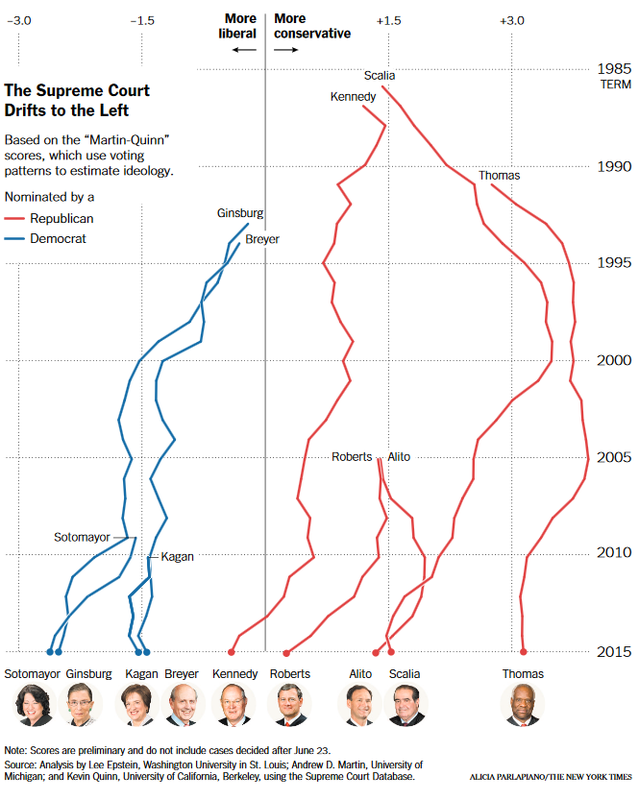 On Tuesday, the New York Times ran a giant graphic on its front page purporting to document a leftward shift in the ideological bias of the Supreme Court. I learned about this from a damning takedown of the attribution of that graphic in an article on the blog of the nonprofit media watchdog FAIR (Fairness and Accuracy In Reporting). What’s particularly interesting about that FAIR article is that it cites, in mockingly discrediting the assertion of any kind of progressive “golden age” for the Court, a shocking case that I had only days before learned about from a friend. The opportunity to criticize both the Times and the Court in one go was too much for FAIR to resist, and the same goes for me now.